omgnyc: The White Stripes - "City Lights"
Jack White has announced a new career spanning release called Acoustic Recordings 1998-2016. It's out September 9th via his own Third Man Records. 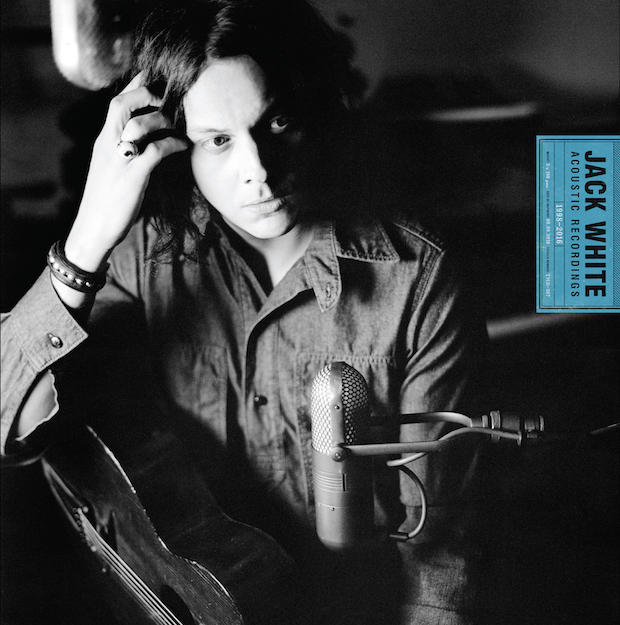 As the title suggests, the collection covers White's illustrious career and features remix and acoustic versions of classic White Stripes and solo tracks. Stripes fans will be particularly excited to see "City Lights" on the tracklist, a song originally penned for Get Behind Me Satan, but not finished until this year. According to the press release, it's "the first new, worldwide commercially released White Stripes song since 2008."